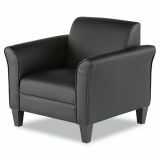 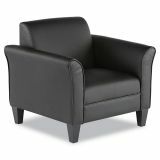 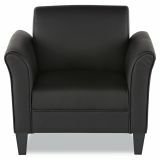 Alera Reception Lounge Series Club Chair, Black/Black Leather - Classic, simple lines complement any lounge or reception environment. Soft touch leather upholstery for comfort and style. 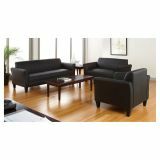 Black wood pyramid legs.